Kevin Harvick started first, finished second, scoring nine bonus points. The Jimmy John’s 9-Grain Wheat Sub driver led the first 40 laps of the event. The No. 4 Ford dropped back to second after a lengthy battle with the No. 78. Harvick reported a “loose in, tight center, loose off” handling condition throughout the caution-free stage. The No. 4 Ford came to pit road for four tires, fuel and wedge and air pressure adjustments at the conclusion of the stage. Startedsecond, finished second, scoring nine bonus points. Harvick continued to battle handling that was loose in and tight in the center throughout the stage. The Jimmy John’s Ford held steady in the second position throughout the caution-free stage. The No. 4 Ford came to pit road for four tires, fuel and chassis adjustments at the conclusion of the stage. Started second and finished second. Harvick dropped back to the fourth position after restarting the last stage on the outside of the front row. 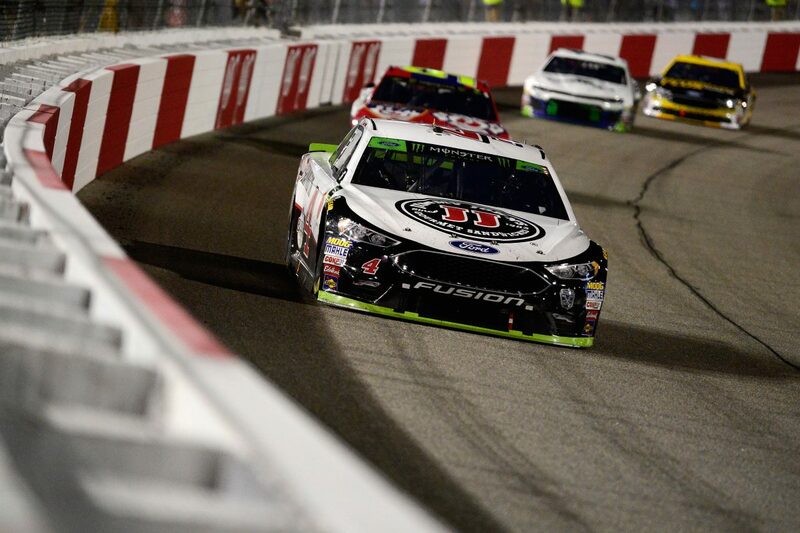 The Jimmy John’s Ford completed the pass of teammate Aric Almirola for the third position on lap 225. Harvick came to pit road on lap 268 under green-flag conditions from the third position for four tires, fuel and a chassis adjustment. The No. 4 Ford completed the pass of the No. 2 for the second position on lap 319. Harvick came to pit road under caution on lap 328 for four tires, fuel, chassis and air pressure adjustments and held the second position. The Jimmy John’s Ford dropped back to third after restarting in the outside lane on lap 333. Harvick completed the pass of the No. 2 racecar for second on lap 370 but was unable to track down the leader in the closing laps. This was Harvick’s 20thtop-five finish of 2018. Harvick earned his 14thtop-five in 36 career Monster Energy NASCAR Cup Series starts at Richmond. Harvick led once for 40 laps to increase his laps-led total at Richmond to 1,109.